Mergus are seaducks that primarily feed on fish. Along with the Smew and Hooded Merganser, they are therefore often known as "sawbills" - so named because of the serrated edges to their bills to help them grip their slippery prey. 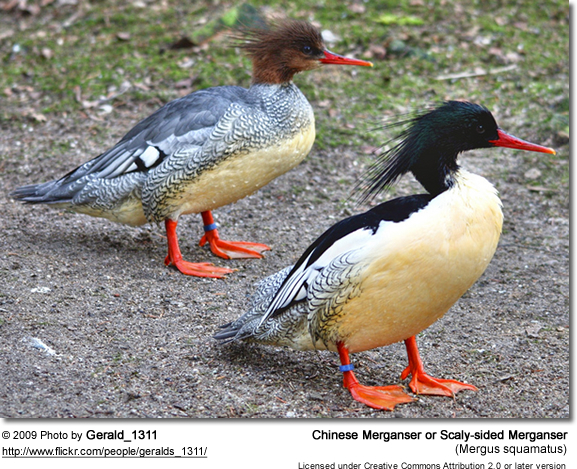 Most of the merganser species favor riverine habitats, the exception being the Red-breasted Merganser, which is common at sea. 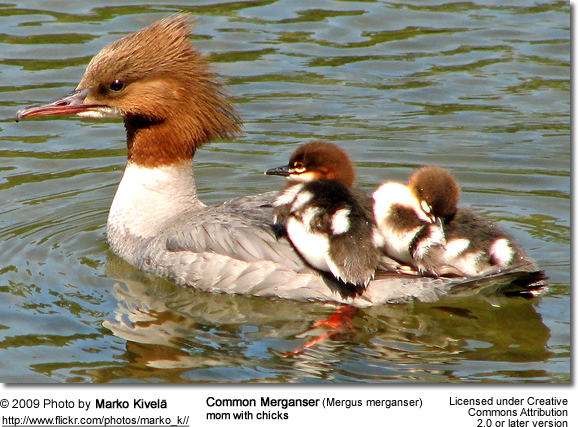 Common Merganser or Goosander, Mergus merganser - Found in Europe, North Asia and North America. Red-breasted Merganser, Mergus serrator - Found across northern North America, Greenland, Europe and Asia.